A new chapter is about to begin in the city of Brotherly Love: Original 13 Ciderworks is set to open its doors in Philadelphia this fall. The cidery has been in the works for quite a while, hitting potholes in the road on the way to success. This startup has weaved its way through the bureaucracy of the city’s licensing system and has bounced back from what seemed like insurmountable odds. Located in the city’s Olde Kensington neighborhood, Original 13 Ciderworks has been busy making the final touches on its taproom and canning cider for distribution. 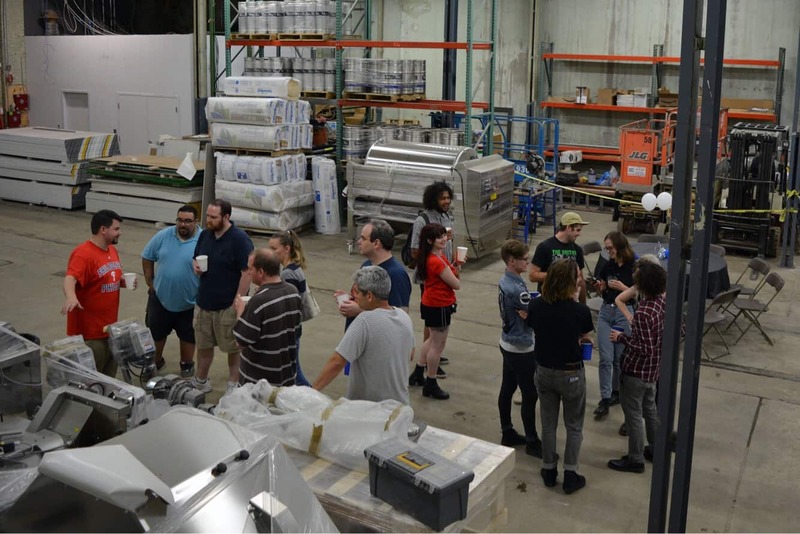 John Kowchak, president and founder of Original 13 Ciderworks, took a moment to sit down with Cider Culture to give us a peek into what a day in the life of a cider maker looks like with a cidery that is just beginning to get its feet wet. Cider Culture: Why cider? What was your inspiration for opening a cidery? John Kowchak: Cider is a part of my family’s history, going back to my grandfather, Charles Steckel, who made hard cider in his basement for decades. Also, when I started researching opening my own brewery here in Philadelphia, I saw that the beer market was overly saturated with great local beers. I didn’t think I had anything new to offer people that all the other breweries hadn’t already done. Cider was open territory where we could make traditional ciders, like my grandfather, but also experiment with new flavor combinations. 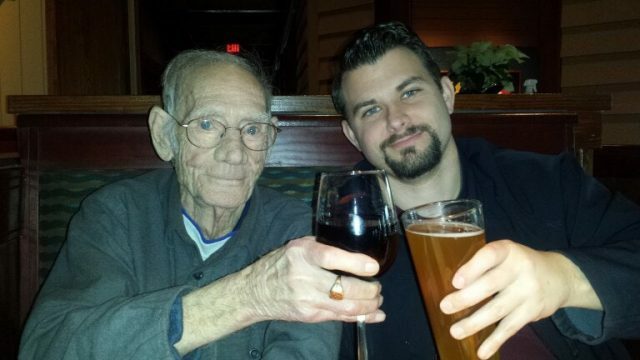 There are two people who I credit with putting me on the path to starting Original 13: my grandfather, who introduced me to what real cider should taste like, and who instilled in me the drive to work hard. The other was my father, who gave me the desire to be an entrepreneur like him. What has been the biggest challenge that Original 13 has faced so far? Getting people to back the idea of cider. When we first approached investors and banks, many didn’t understand cider or why we weren’t trying to jump into the beer game. Cider for many is still an unknown, and many don’t see its potential as a game changer in the overall alcohol market. People in the United States get beer, but cider is still something that people need education around as to what makes craft cider better than the big-name brands they may have tried. What is the meaning behind your cidery’s name? “Sir Charles” was my grandfather’s nickname, and we wanted to honor him by naming our flagship brand after him. We also wanted to stand out from other ciders on the shelf with a distinct look, and so we adopted the knight’s helmet and the black can. We don’t pretend to be farmers or something we are not. I like to call us an urban cidery. We still work with locally grown fruit and we still hold to the high standards of other craft cideries, but we are Philly’s craft hard cider, and having an apple or tree on our can just didn’t sit well with me. “Original 13” comes from the original 13 colonies. I have a love of history and wanted to have our company name attached to the great history of Philadelphia. Many people ask why two names, and I tell them it’s because we want to separate the company from the brand. The Boston Beer Company has many recognizable brands like Sam Adams and Angry Orchard, but people forget the brands that failed. Having the company detached from the brand allows us flexibility for future expansion. Why did you choose Kensington as your location? When we started looking for a place to set up shop, we wanted a location in Philadelphia, but we also wanted an area where we could grow and develop. We wanted to be part of the new Philadelphia renaissance, and so Kensington was one of our top choices. When I first saw the building, it was nothing more than an empty warehouse, but it had history. The old railroad tracks that ran through the center of the building, rustic brick exterior and all the changes that were coming to the area told me that this place was our home. What qualities set your company apart in this competitive craft beverage industry? As stated before, we are an urban cidery. We are a part of Philadelphia, and we hope to honor the city and its people with great cider worthy of the city’s history. Unlike some cider makers, we are licensed as a winery (Pennsylvania doesn’t have a cidery license), and this means we are dedicated to making cider, mead and perry. Cider isn’t a side project for us—it is our main focus. We also bring 15 years of cider-making experience to the table with our head cider maker, Clint Holmes, who has numerous awards for his ciders and wines. We have equipped him with all he needs to make the best ciders he can, including a full mill and press, so we can process our own fruit. On the high-tech side of cider making, we utilize a $75,000 cross flow filter. This machine allows us to create a crystal-clear and shelf-stable product without sacrificing taste or producing pounds of waste in the form of filter pads. What has been the span of time between concept to opening your doors? The idea to start a cider began for me in 2012, when I graduated from Drexel University with an MBA. I secured $20,000 in friends and family financing, and we signed a contract to make our cider out of a winery in Lancaster. We launched our first cider at Pour the Core in 2014 and began selling kegs and bottles of our cider around Philadelphia in early 2015. By the fall of 2015, we learned the winery we were contracted with had declared bankruptcy, and the new owners no longer wanted to contract brew. So we found ourselves out of business. We decided then to double down and start our own cidery. We signed the lease for our building here in Kensington in December 2015, and then over the course of the next year, we begged and pleaded with every bank that would talk to us. We managed to secure a bank loan in November 2016, and we broke ground on the cidery in January 2017. 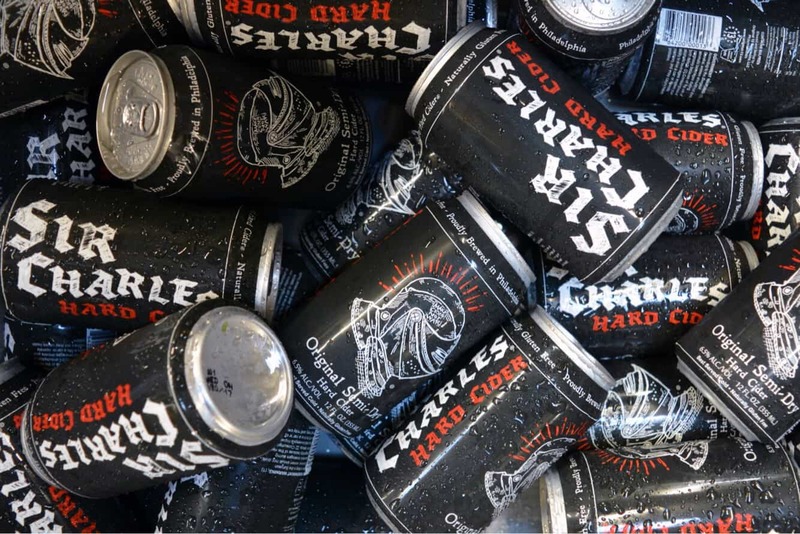 Our first batch of hard cider went in the tanks in early August, and by late September, our Sir Charles Original Semi-Dry was back on the market. What has been your favorite part about getting your cidery off the ground? Two days come to mind: the day I presented my grandfather with a keg of the cider named after him, and he told me, “This is damn good cider.” The next was the day I quit my corporate job and I walked out of a 10-year nightmare in corporate drudgery to work full time on my passion of making cider for a living. What are Original 13’s goals for the upcoming year? Make money. I know that sounds terrible, but dealing with the city and the mountains of paperwork that come with starting a cidery has cost a lot of money. I am looking forward to getting ourselves off the ground and growing our customer base. We have a great team of people, and I’m excited for the opening of our tasting room. Beyond that, we want to open distribution in New Jersey and expand across eastern and central PA. I believe 2018 will be a great year for the company. Tell us more about your ciders. Where do you source your ingredients? All of our ciders are made with 100% real fruit, no concentrates. For our Sir Charles line, we have fresh juice trucked in, simply because processing that much fruit for our 5,000 gallon fermenters would not be possible. For the fruits we use in our blended cider (blueberry, cherry, strawberry, etc. ), we use purees, which allow us to source fruit year-round. We have started the process of making deals with local and regional orchards to supply us with apples that we can ship into the city to press. I hope one day to even contract with local orchards to plant specific varieties of cider apples just for our use. You mentioned you completed your first can run this week. Where will your cider be distributed? Which cider will this be? We are currently self-distributing our ciders, but are looking for a partner distributor over the next few months. Right now, we have our Sir Charles Original Semi-Dry canned, and our Sir Charles Deep Sea Blueberry will be canned next week. We are also working on our SC Strawberry Valkyrie and SC On Wings of Cherry, but these will only be available in kegs for now. Our head cider maker will also be working on some special cider exclusives for the opening of our tasting room, including a Pumpkin Spice and a few traditional dry ciders. Can you give us a visual of your tasting room? What can customers expect to see when they come to Original 13? The tasting room will take design cues from its history as a former train depot. We have preserved the original tracks in the floor and reused the pallets that our cider equipment was delivered as a floating ceiling. We want the tasting room to be welcoming for guests, and hope it will become a cornerstone of the Kensington neighborhood that is developing around us. We will have 14 taps, which we will divide between our house ciders, local beers and some of the other great ciders in Pennsylvania, like Frecon Farms and Kurant. We want our bar to not only showcase our cider, but also the great cider that all of the state is producing. We will also have a great selection of local spirits and are working on a menu of cider cocktails. Our menu will have a lot of gluten-free options, but all the dishes will be designed to be paired with our ciders. Not at this time, but we have reached out to several of the local breweries and distilleries to acquire barrels that we will age some of our ciders in. I’m particularly interested in working with New Liberty Distillery on aging a cider in whiskey barrels, and with Saint Benjamin Brewing Company to age a cider in a stout beer barrel. What happens in a typical day at Original 13? Right now, things are very crazy, as we are trying to prepare getting the tasting room open. Once things settle down, the cidery will be a mix of production-related tasks like milling fruit, fermenting cider and blending and canning. The front of the house will operate independently from the cidery as its own restaurant. Our restaurant manager, Mallory Fredericks, and chef Will Rogers have put together a great team and a very exciting menu with lots of gluten-free items. For me, my day-to-day is keeping the litany of paperwork from getting out of hand. What advice would you give a new startup cidery? Take your best estimates on how long it will take and how much it will cost and double it. Beyond that, don’t take shortcuts on quality. Cider drinkers are demanding fresh ingredients, not concentrates. Cider needs to take the next leap, like beer did in the ’80s and ’90s, and begin to show what craft cider can really offer. Those getting into cider need to make sure as an industry, cider doesn’t end up as just a apple-flavored cheap beer alternative. Original 13 Ciderworks will be located at 1526 N. American St. in Philadelphia, Pa.